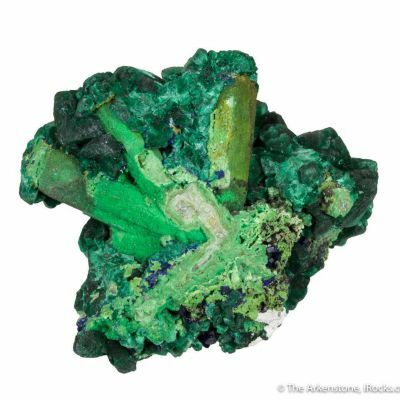 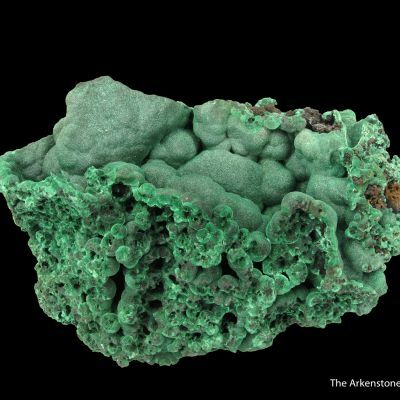 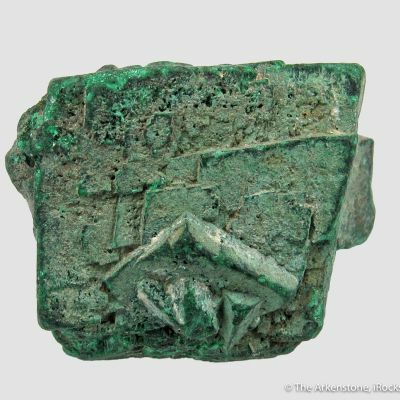 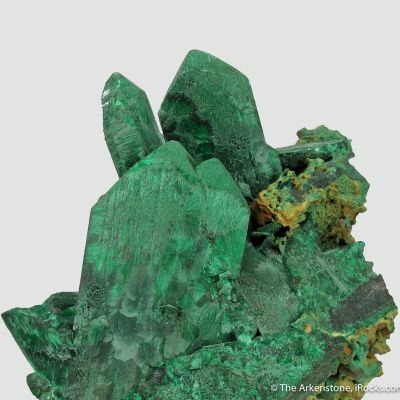 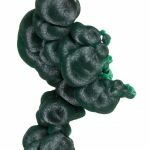 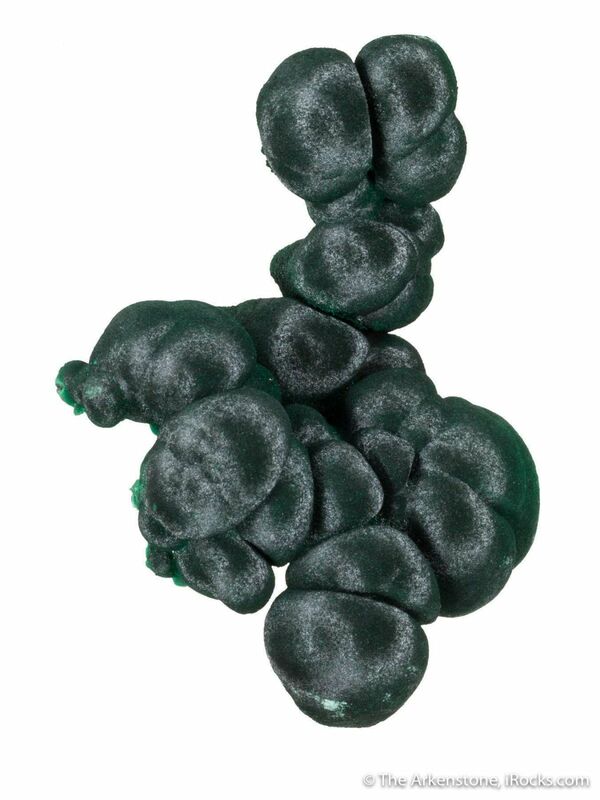 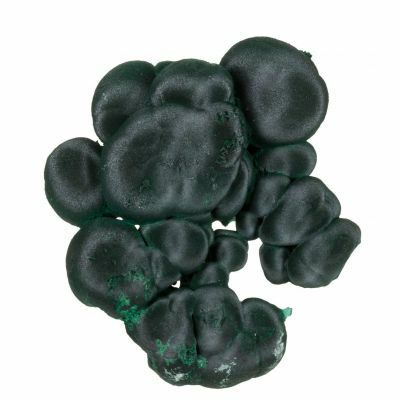 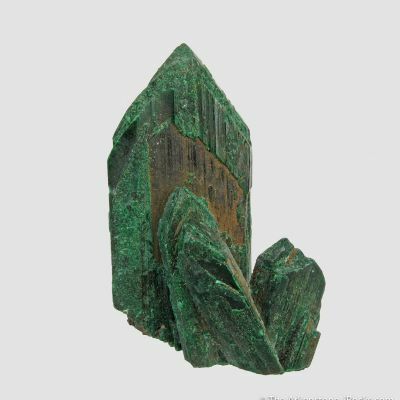 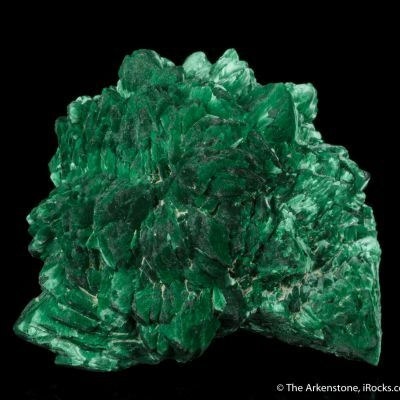 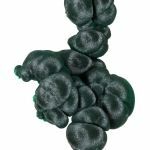 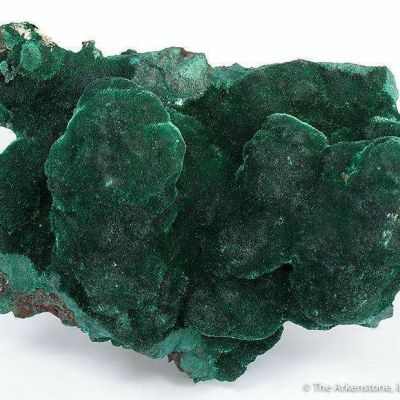 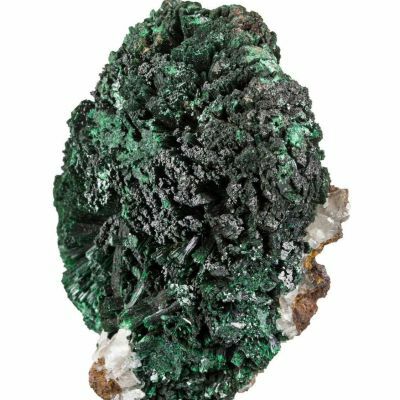 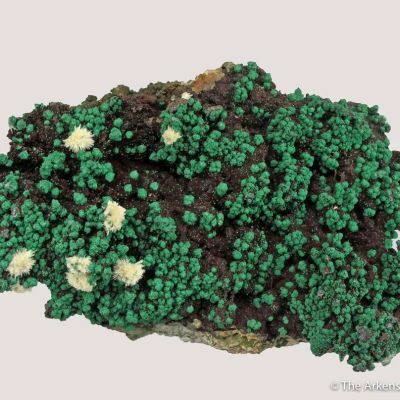 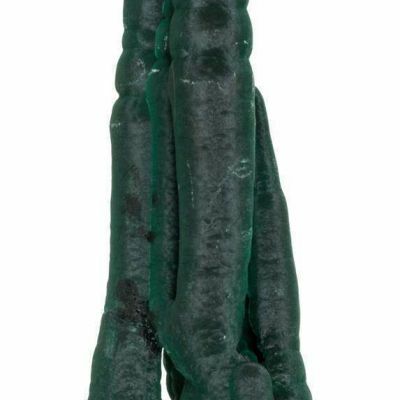 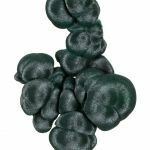 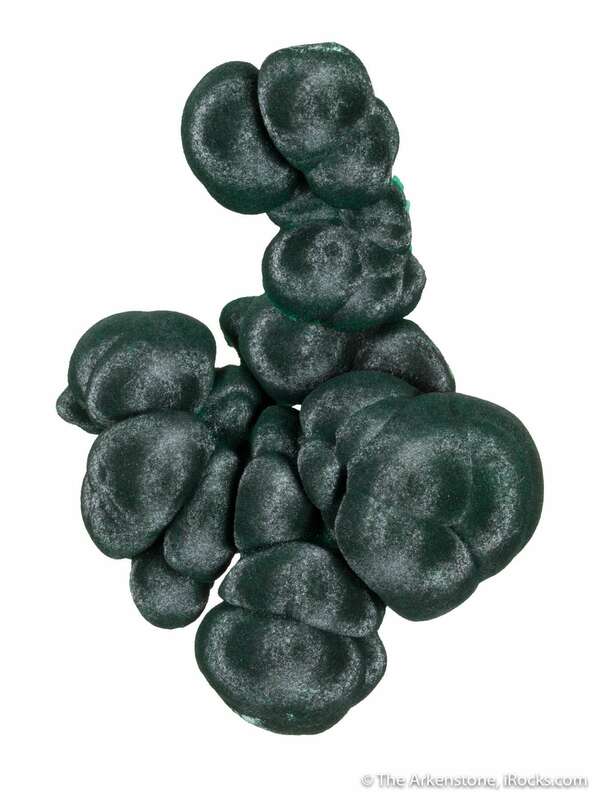 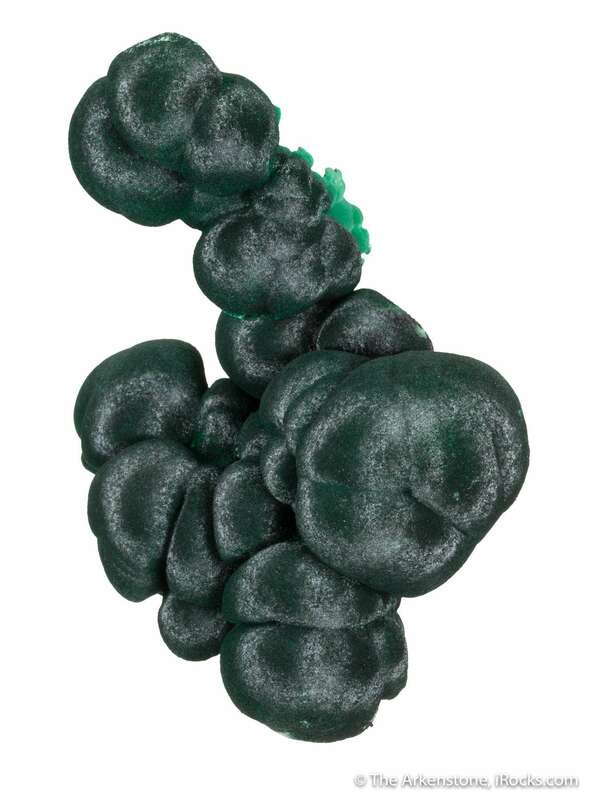 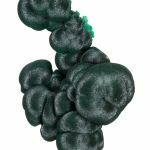 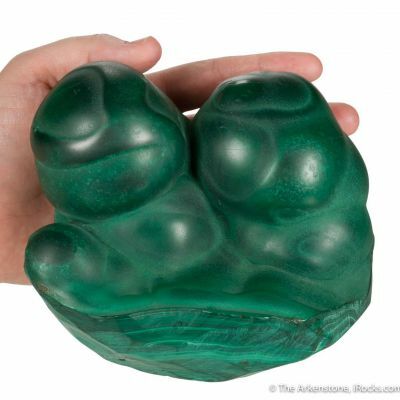 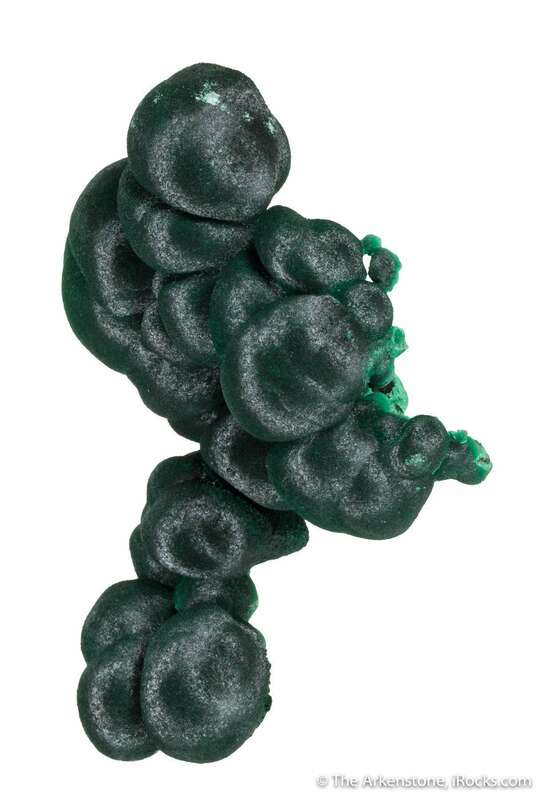 This is a particularly elegant, floating specimen of malachite: Rounded botryoids of satiny-lustered, dark forest-green malachite to 3.3 cm across, are slightly intergrown, giving the specimen a lovely sculptural form. 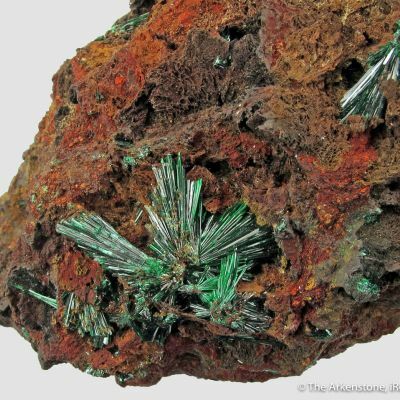 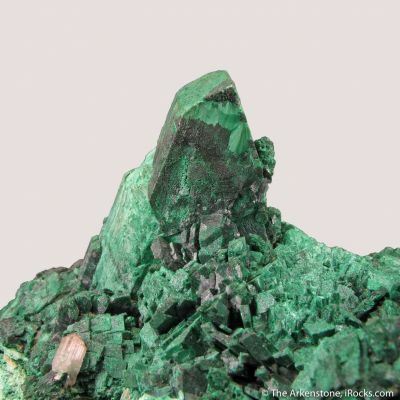 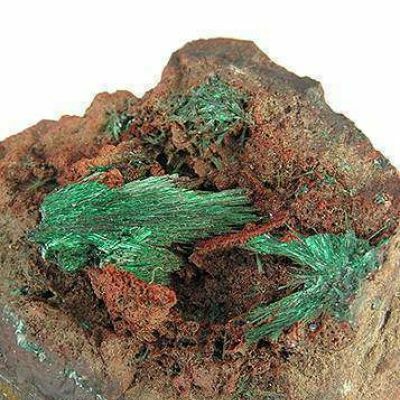 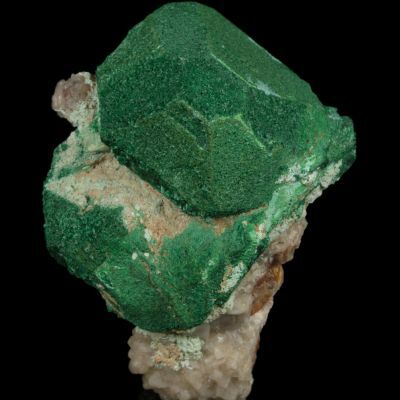 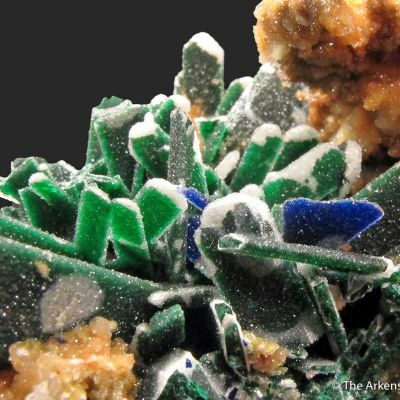 These unique specimens form as thin crusts on matrix that pops off as they are mined, leaving freeflaoting malachite "sculptures" like this. 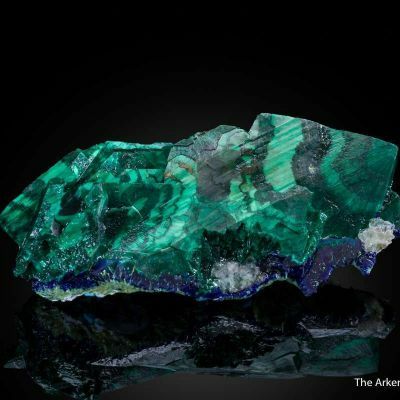 When lit in a showcase, or with a light, they show flashing "eyes" like a catseye effect in gemstones, moving across the bubbly growths. 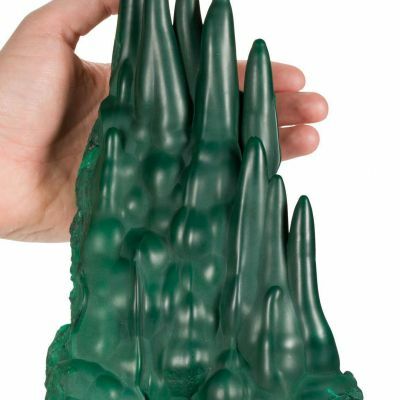 They are much more beautiful in person!